The 2015 Sackvegas Donair Poll Is Here! Time To Vote! | Sack-Vegas!!!! 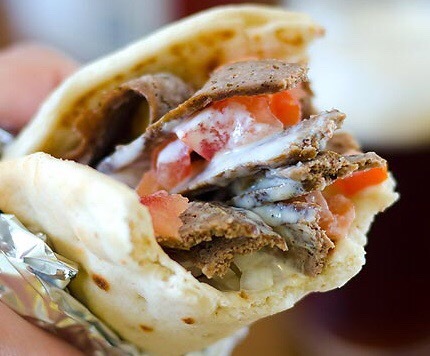 The 2015 Sackvegas Donair Poll Is Here! Time To Vote! Alrighty, time to unleash another greasy Sackvegas poll upon the masses – this time a donair one! In the poll below I have listed all places in this area who serve up donairs. Please find your fave donair vendor below (not necessarily your fave pizza joint) and vote. Posted by Sacky on January 16, 2015 in Uncategorized. Ive been following the polls in the past few hours and King of Donair has jumped 120+ votes. There is definetly some cheating involved liked the last poll, very unfair. People can spread the word and ask for votes. We may see others swing upwards as well. Haters gonna hate. It’s called sharing. Take a look at their FB. That’s cool. This poll is not about making people eat what they don’t want to eat. Just for fun. And as far as I know there is no prize….. This is it, my posts get spread way past Sackville so yes, it is quite possible ‘Delic fans downtown or wherever else are voting. Good point. Pizzadelic hasn’t been active on twitter since 2012 yet they are leading the poll but almost 200 points!!? Why even bother with a poll if it’s going to be corrupt? What’s the point? Don’t look at it then. What does Twitter have to do with it? My posts reach way more than Twitter. Jesus, Sorry u are so upset. Use the Lord’s name in vain!! I’ve had KOD years ago in Hfx, didn’t care for it. Had Robert’s in Dartmouth (I know its not on the poll…) didn’t like it. My best donairs (for me remember…) have been from cooks (sacktown of course)….my first ever donair over twenty years ago at a hole in the wall place in Elmsdale (it was perfect!) as well as a place in wellington. I like mine overflowing and to be crispy/a little burnt. I am not gonna run out to the #1 spot to buy one or stop going to my spot if they finish last.